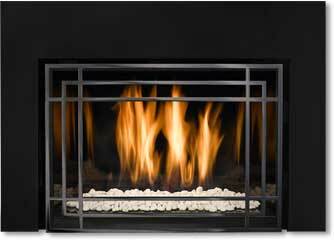 Designed for those looking to make a statement with their hearth, Décor is Mendota's most customizable fireplace insert. 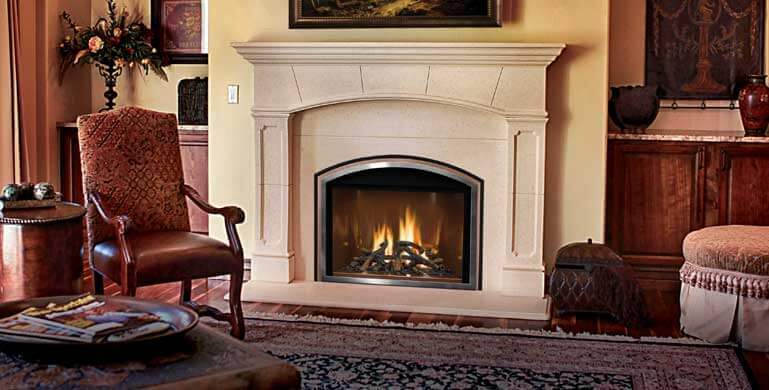 You get to choose everything from the fire base to the interior lining to transform your old fireplace into a personal work of art—with the added benefit of Mendota BurnGreen™ convenience and efficiency. With a viewing area that's 30% larger than comparably sized insert designs in a footprint that fits comfortably in smaller fireplace openings, the FV33i Décor may be the perfect fireplace insert for you. Despite its compact size, this fireplace insert is big on features, including Mendota's high-efficiency BurnGreen™ system, heat output of 25,000 to 13,500 BTUH—even a convenient remote control. This Décor fireplace insert becomes whatever you want it to be—from simple and understated to bold and dramatic. No matter what look you choose, it will always be a smart alternative to your existing woodburning fireplace. With up to 29,000 BTUH operating at an amazing 77.9% efficiency, you'll handle cool days and chilly evenings in style.